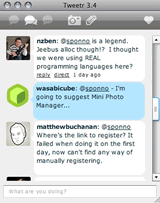 Description: Spaz is a free, award-winning Twitter client for the Adobe® AIR™ platform, offering notable features such as access to direct messages and replies, CSS theming, and event sounds. Spaz is open-source under the “New BSD” license. 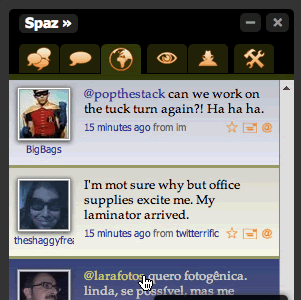 Spaz was the winner of Best HTML Community App in the AIR Developer Derby. Description: Today, we have many digital assets that we keep track of. Unfortunately, it means we have many different places to store that information. When we need to find our favorite home video, photo, word document, web site or news item, we have to first think about what type of information we&apos;re looking for before we know where to start looking. We think the answer is Universal Inbox. 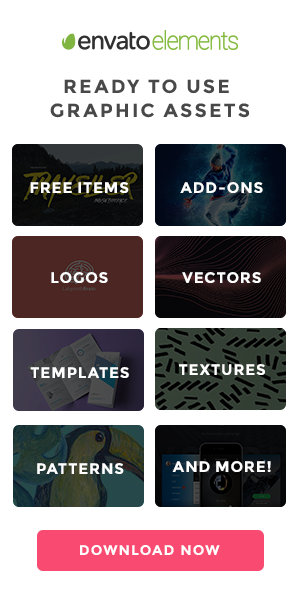 An application that gives you control over how you store your digital assets. It doesn&apos;t matter if it&apos;s a file, an email, a contact, a twitter message or RSS feed, you can store them all in the same folder structure. 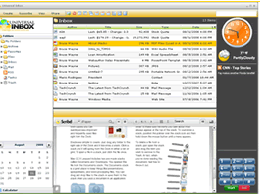 In each system (email client, rss reader, web browser, file system), we have to replicate our organizational structure. 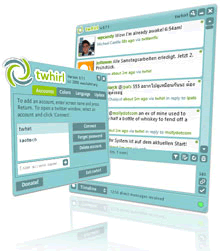 Description: twhirl is a social software desktop client for services like Twitter, Seesmic, Friendfeed and identi.ca. It allows to connect to multiple account at the same time, keep up with your friends’ updates, and share what you are doing. 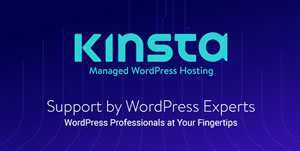 Description: Posty is a microblogging application which allows posting to twitter, jaiku, pownce, tumblr, friendfeed and identi.ca with one click. 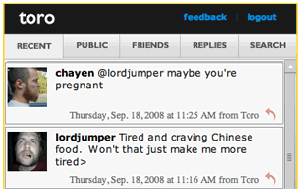 It also features browsing of personal/public posts and note replies. 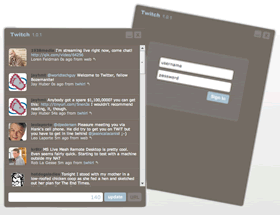 Description: Tweetr is a Twitter client for Mac and PC. Use it to take photos with your webcam and send files to your friends. Description: SedThink is the mashup application for various internet services. 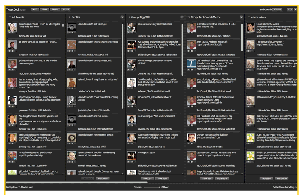 It Currently supports – Facebook – Twitter & Noknok – Hi5 – Feed reader. The features for this app are endless. Recommended.